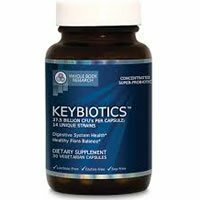 Overall, Keybiotics by Whole Body Research is a slightly above average probiotic (hence the 3 out of 5 stars). What I like is that it’s best used for specific ailments since there are 37.5 billion cells coming from 14 different strains. However, that’s way too many CFUs to use on a long-term, daily basis. You only have to take one (average-sized) capsule daily with food, so I like that it’s nice and simple. I also like that these capsules are lactose-free, gluten-free, soy-free and vegetarian. You also don’t have to refrigerate this probiotic to keep the potency. My biggest issue with this product is the high cost. 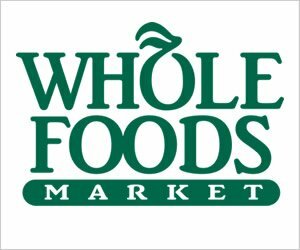 Coming in just shy of $50.00 is incredibly expensive for a probiotic! Another bummer is that the live cultures are only guaranteed at the time of manufacture. Keep in mind that children 12 years and younger should only take this capsule every other day since it has such a high number of live probiotic cells. Overall, if you can look past the high price tag (something I’m having trouble with) this product does offer some good qualities and may be an effective probiotic for specific ailments. 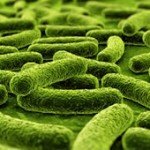 The strain profile of Keybiotics consists of 37.5 billion live cells from 14 unique probiotic strains. Of note, I like the use of Lactococcus thermophilus in the probiotic line up for Keybiotics. Lactococcus thermophiles may have the ability to help improve digestion function and may help with the symptoms that come from IBS, lactose intolerance, and leaky gut syndrome. Lactococcus thermophiles may also help with immune function and help fight off cold and flu viruses. Some studies have even shown a potential benefit with this strain regarding decreasing the chances of kidney stones and potentially increasing HDL (the good cholesterol). I like the addition of Lactobacillus bulgaricus to the strain profile. Lactobacillus bulgaricus may help with a number of digestive disorders such as Crohn’s Disease, Inflammatory Bowel Disease, and Irritable Bowel Syndrome. This strain may also help with symptoms of diarrhea and gum disease, in addition to repopulating healthy digestive flora while helping neutralize harmful toxins in the body. I like that Keybiotics is relatively allergy friendly. The one ingredient that stands out as a potential allergy concern is RICE. The capsules are free of lactose, gluten, and soy. There are no synthetic fillers, artificial stimulants, and the capsules are vegetarian. Whole Body Research also touts that they use 100% natural ingredients in their products. The other ingredients include: Fructooligosaccharide, vegetable cellulose, rice bran, and silica. 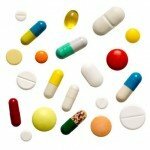 One of the biggest problems I have with Keybiotics is the high price tag. For only a 30 capsule bottle, it will set you back $49.99. This ends up being $1.66 a day to take these supplements. 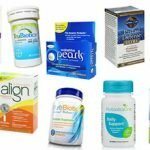 You get a variety of cultures and strains for your money, but I think there are better, more affordable options out there for high strength probiotics. With nearly 40 billion live active cultures, I was preparing to see some negative side effects. Surprisingly, I didn’t experience anything out of the ordinary. I didn’t have any belly pain or discomfort while taking these capsules. Keep in mind that 37.5 billion cells are definitely potent in terms of culture strength. So be cautious and ease into this product if you’re new to taking probiotics. I’m impressed that Whole Body Research provides an awesome 100% satisfaction guarantee. They offer a 90-day money back guarantee, with no questions asked. I always like when a company can give you some sort of guarantee for their product. To buy Keybiotics, click here.